Okay, people. Before I get into specifics about this particular recipe, I have to preface it by saying that Ryan and I have had this twice in the past two weeks. It’s that good. Like, this could be served at Macaroni Grill good. The original recipe for this heavenly dish comes from Diethood. 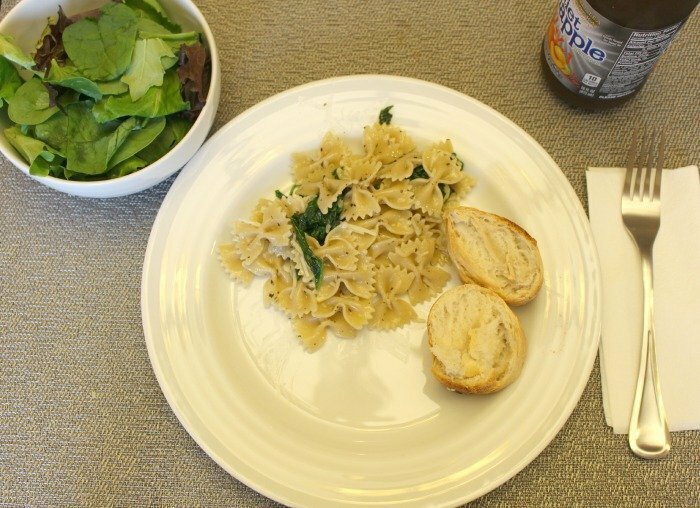 My only deviation from the original measurements is with the amount of spinach – the recipe calls for five cups, but I probably use around eight. That is a rough estimate since I don’t use a measuring cup and instead, just grab handfuls of spinach from the bag. 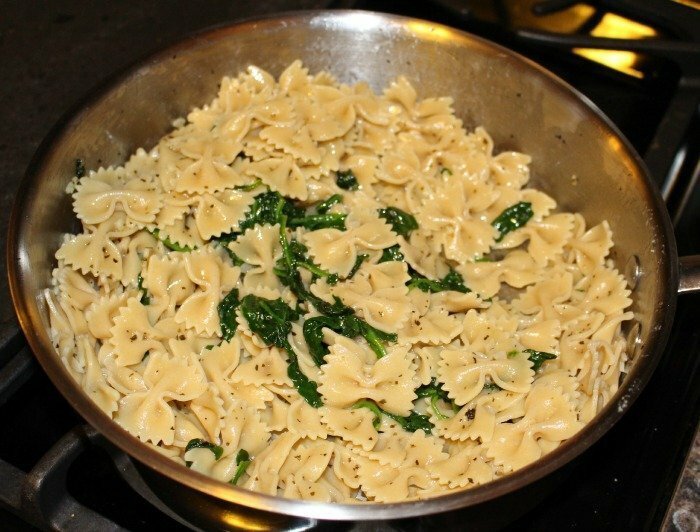 Plus, once the spinach is cooked, it really doesn’t seem like that much when it gets mixed in with the pasta. So, I think more is better. We’ve really been enjoying this dish lately, mainly because it’s light and refreshing when it’s warm out. This also is a perfect meal to surprise your special someone with since it looks and tastes like it takes a lot more effort than it really does. 1. Cook pasta according to the directions on the box. Meanwhile, chop up the garlic cloves. (I was excited that I finally got to use my OXO chopper that we received for our wedding, so I felt the need to document it). 2. 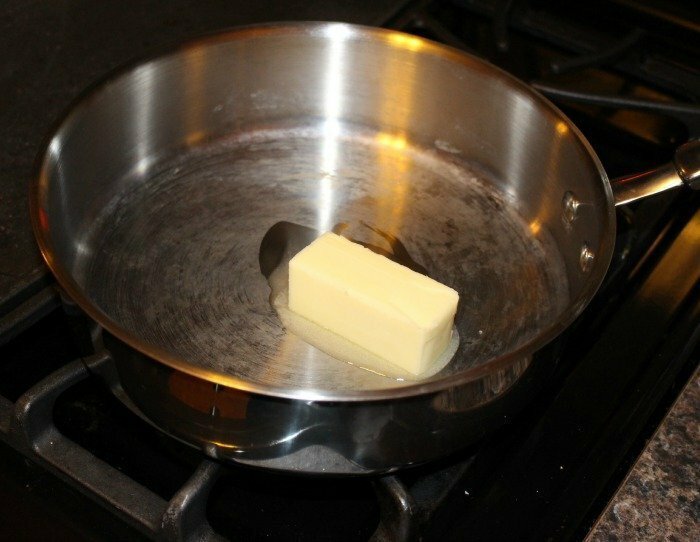 In a large skillet, melt butter over medium-low heat. 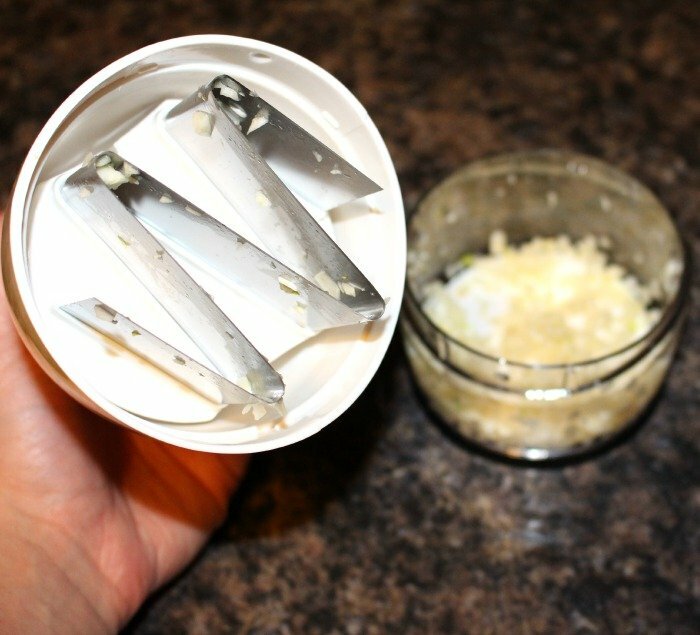 Once the butter is melted, add the crushed garlic. Cook until fragrant. 3. 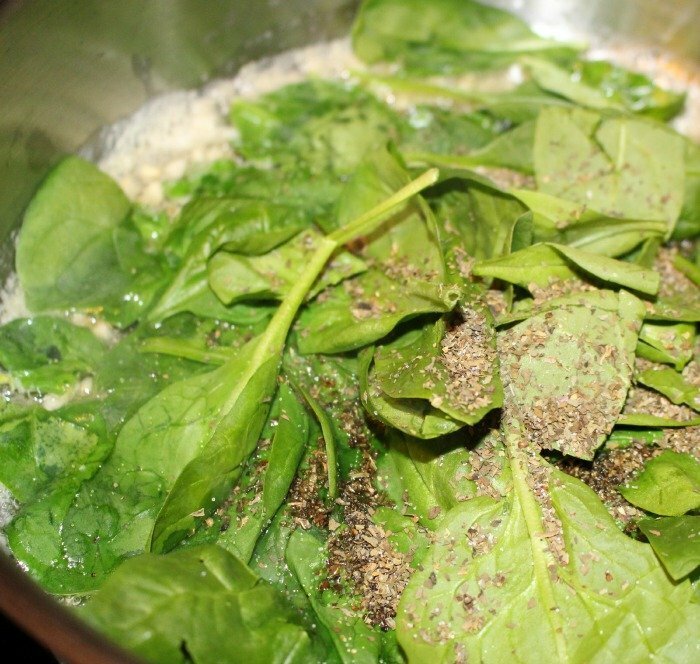 Add spinach, season with salt, pepper and basil, and cook until spinach is wilted. Remove from heat. (From here, you could pick out the crushed garlic, but I chose not to). 4. 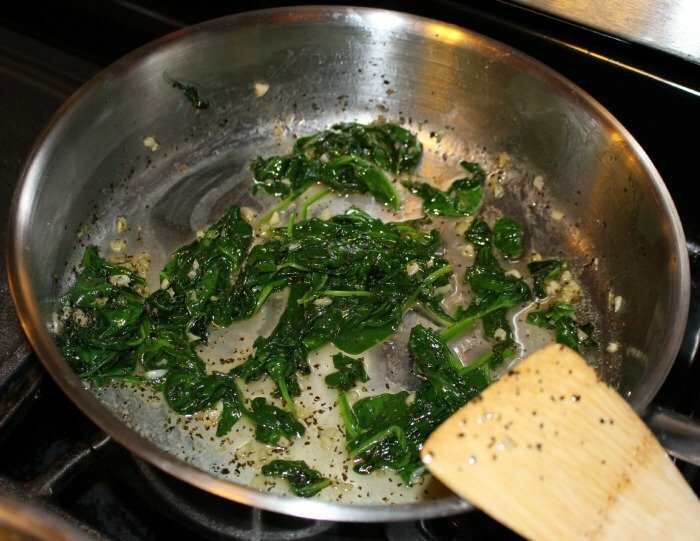 Drain the cooked pasta, and add it to the garlic, butter and spinach mixture. Mix well. 5. 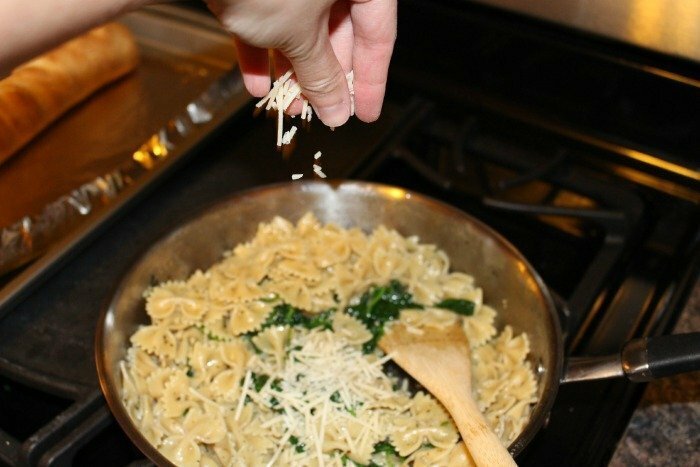 Add the Parmesan shavings, serve and enjoy! oooh yummy!!! 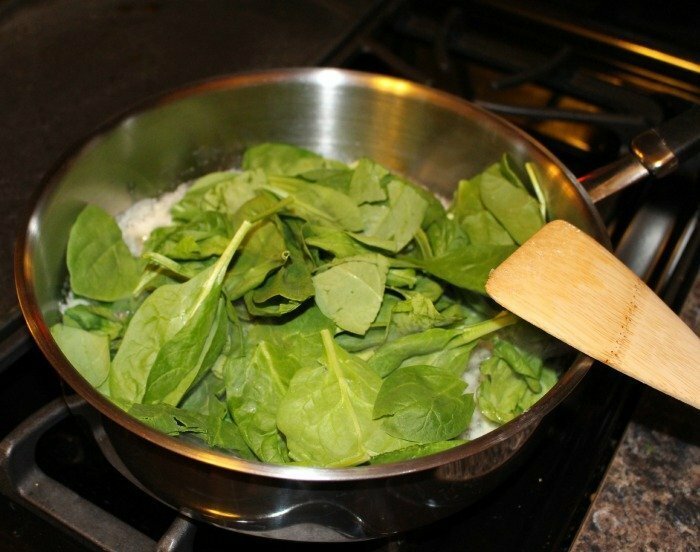 i love putting spinach in a pasta dish for some extra vitamin A! This looks so good! My husband loves farfelle, we have like 8 boxes of it in our kitchen, haha, so he would definitely be a fan of this! Thanks, Mom; although, I prefer the title of chef. Ha! Fabulous! I really think you'll like it – it's light and perfect for the warmer months. It looks and tastes simply amazing … I think it's my husband's new favorite meal! Absolutely! Never a good idea to read food posts around lunchtime. 🙂 Thanks for stopping by! Major yum! I'll have to try this! My stomach just growled…..that looks amazing! You need to stop posting so many amazing recipes! I haven't gotten to try all the others I've pinned yet! 🙂 I just need you to send me leftovers!! 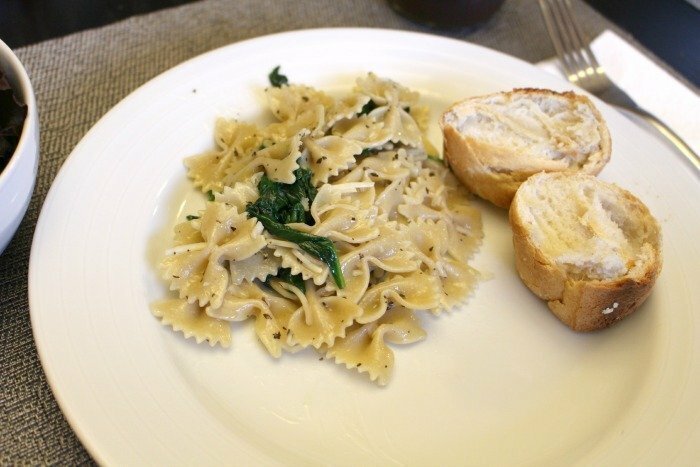 I love simple pasta recipes like this, one of my favorites for sure. Thanks girl, we will be making this! That looks so good! I'm going to have to try that one soon! Another yummy looking recipe! You have become quite the cook! This looks beyond delicious!! 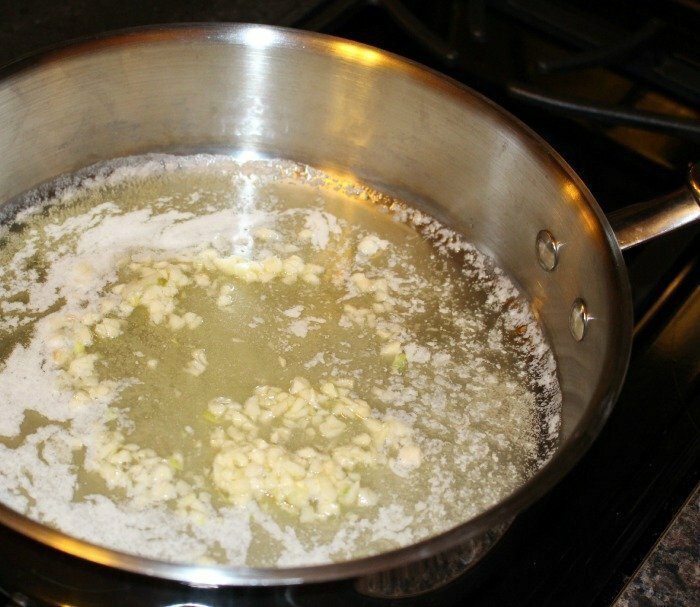 The smell of garlic cooking is quite possibly the best!! great presentation girl!